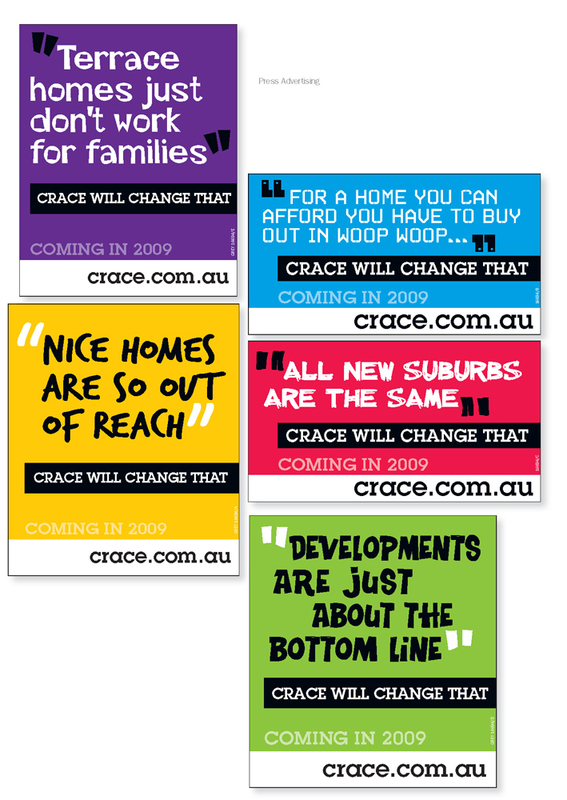 With the theme “Crace changes everything”, this campaign set out to differentiate this real estate development north of Canberra from other new suburbs. The first advertising was designed to build a database prior to the release of any property and used small space teaser ads. The campaign deliberately avoided the usual stock imagery and used provocative language to challenge readers’ views about new suburbs. As a result, the first release at Crace sold out in days, realising more than $10 million in sales. conventional families with 2.3 children running through parks in slow motion.